The internet has always been full of all kinds of nasties that everyone has to be aware and cautious of. But in recent years, the web has grown so much and the nasties out there have morphed into much more of a concern. The nasties I refer to include malware, phishing attacks, personal data collection, unwanted ads and more. There are a few things that you can do to help protect yourself from the browser that you use to view the internet to things to look for when performing searches. Google Chrome is a web browser, just like Internet Explorer (default Windows browser) and Safari (default Apple browser). You may also be familiar other browsers such as Firefox, Opera or even Google Chrome. While the title of best browser will always be fought over by the geekiest techs who use them, I have to standby my choice of using Google Chrome for its security, speed, usability and simplicity and for its integration with my Google Apps accounts and Android phones. My favorite thing about Google Chrome are the multitudes of Apps and Extensions that you can install and run within Chrome. 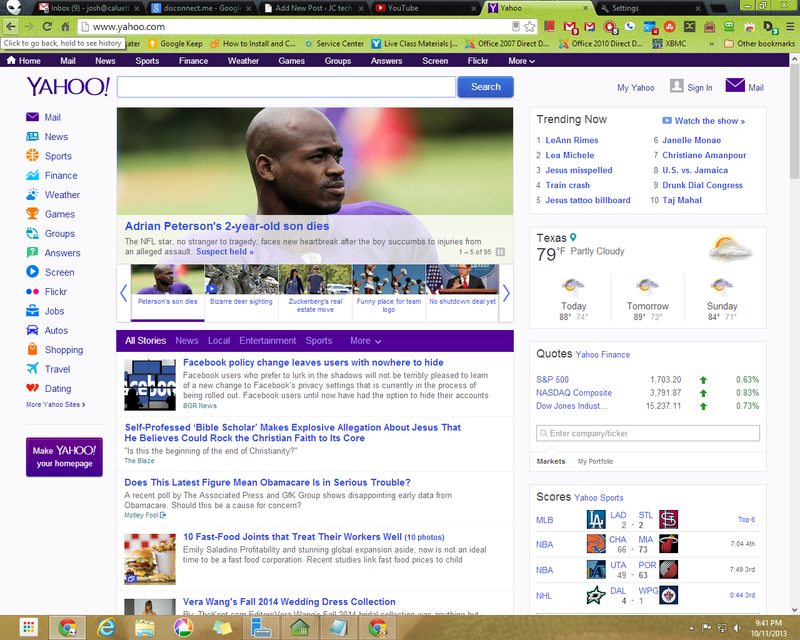 Yes, Firefox has Add-Ons and Extensions, but I prefer the speed the functionality of Chrome’s use of them. As a default install, Google Chrome is pretty well set and ready to go for any user. There is actually no interface for the install at all. Once you launch the installer, it runs in the background and the next thing you see is Google Chrome asking you to sign in. 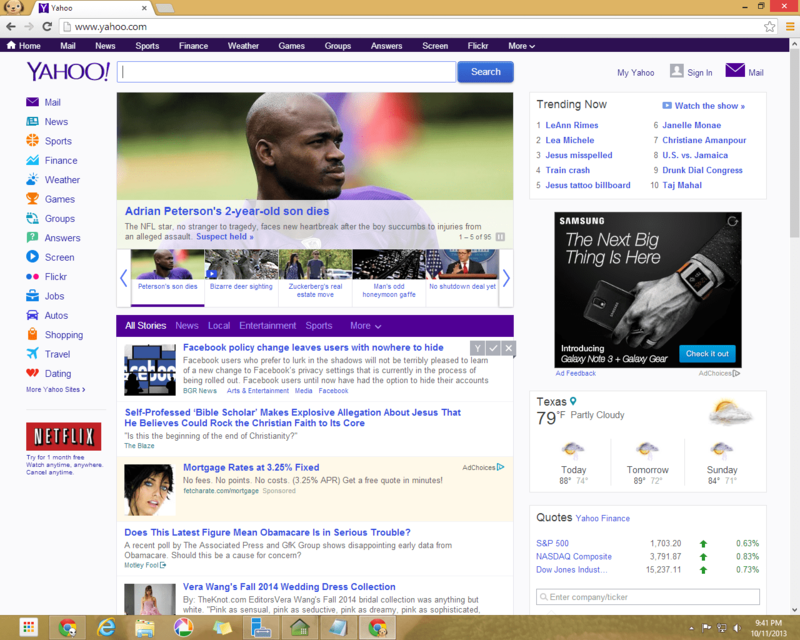 There is only one menu in Google Chrome and it is located in the top right corner. This is where you will find all of those functions that you are familiar with finding under “File”, “Edit”, “View”, etc. in other browsers. Google Chrome does it’s best to help you get when your really trying to go and to stop you from going places that could ultimately damage your computer. While this is just an added security feature, it is not intended to replace your antivirus or other security software. But it is nice to have the last resort security just in case. This tip is actually needed for my following two tips, which leads us on to number two. AdBlock is an extension that is installed in Google Chrome. It doesn’t really need a whole lot of explaining, as its name says it all. Once installed, it will block advertisements from loading on webpages that you visit. See screenshots below. I think everyone and their dead ancestors know about Google. Google has become a verb these days: I.e, I’ll Google that information later, meaning, I’ll search for it later. There are a couple of things I would like to point out about Google search that will make your searching experience so much safer and likely more effective. First off, if you have AdBlock installed from point number one above, you’ll not see any of the ads that you typically see on Google. Without these ads you get a cleaner and somewhat safer experience, as some of the sponsored ads (those at the top and on the sides) are sometimes malicious or fraudulent, displayed only because of keywords that you searched for. Which leads me to my next tip for Google search. This is often an overlooked piece of information contained in each and every Google result. 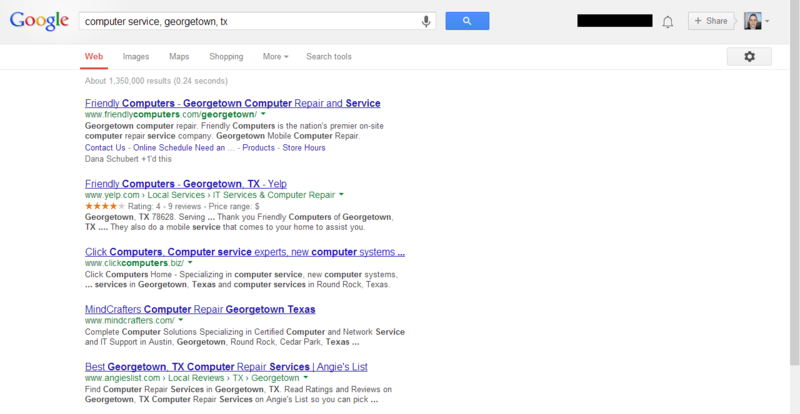 Each result that you get in Google will have a large, usually blue hyperlink for the title of the result. This title typically comes from the title of the page that the result is pointing to. When you click on the search result and look in your title bar or tab, you’ll usually see the search result title at the top. Right below the result title is a green URL. Some results will include some site navigation links next to the URL. In the images above you can see what I am talking about. Following the green URL is a short little snippet from the page the result is pointing to. Most people will look at the title and the snippet and base their decision solely on this. 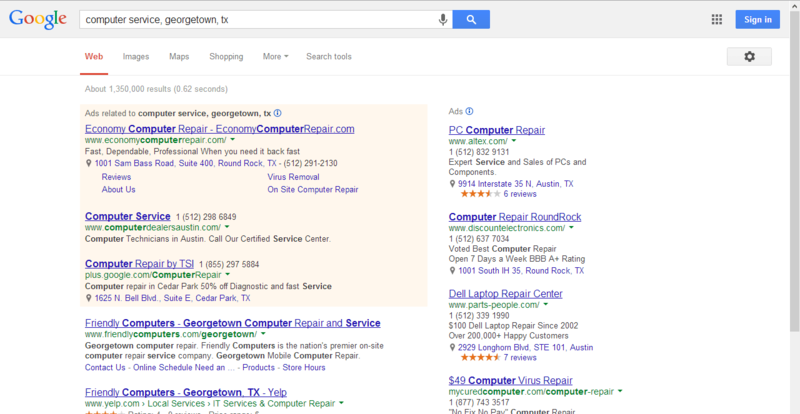 However, a lot of malicious pages out there will auto-generate ad-filled pages using keywords you search for. This will create a result that appears to be exactly what you want, but in the end will result in a computer full of spyware, false alerts prompting you to pay money for something and ultimately getting you off-track. The trick is really knowing what you’re looking for. Let’s say you needed to renew your drivers license online and you can’t remember the URL for the Texas DPS website so you hop on over to www.google.com and perform a search for “Texas DPS website”. Most likely the first result is going to be what you want. You can verify by seeing the green URL says www.txdps.state.tx.us/driverlicense. This URL appears to be legitimate. You can tell by the .tx.us that it is an official State website and txdps probably stands for Texas DPS. Lets say you scroll further down and find a similar result that says “Texas DPS – Renew Your Drivers License Free Now!” and the snippet says something similar about renewing your license for free, blah, blah, blah. Then you look at the green URL box and see www.freestuffonline.com/free-dl-renew. That should be a pretty dead give away that this is not the correct result. Thank you so much for reading my blog. I hope the information I have shared is informative for you and will help you to make good decisions when browsing the internet and deciding what to click on. I always like to make sure customers understand that no amount of software can really prevent a user from clicking on the wrong link, but having the right software, using it correctly and browsing smart will definitely make a difference. Thank you again for reading!